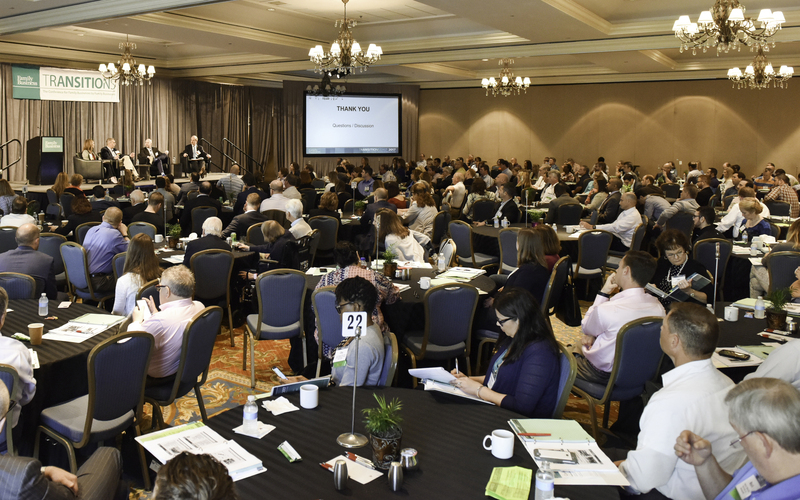 Shareholder and Family Council Committee Chair, Canal Insurance Co.
Registrations for Transitions West 2018 are currently SOLD OUT. Add your family to our waitlist, here. The cost to attend is listed below. Members of families who have previously attended a Transitions conference receive a 10% discount on their cost of attendance. Your registration also includes a one-year subscription to Family Business Magazine or a one-year extension to your current subscription. Registration price includes all conference materials, as well as breakfast, lunch and dinner on November 8, breakfast and lunch on November 9, and a welcome reception with buffet dinner on November 7, as well as refreshment breaks. Cancellation policy: All conference cancellations must be made in writing and sent to Diane McCollum, Family Business Magazine, 1845 Walnut St., Ste 900, Philadelphia, PA 19103 or emailed to diane.mcccollum@familybusinessmagazine.com. Registrants who cancel more than four weeks prior to the program date are entitled to a full refund of the registration fee less an administrative fee of $150 per registrant; if canceled within four weeks, but more than 10 business days prior to the conference date, 50% of the conference registration fee will be refunded less an administrative fee of $150 per registrant; within 10 business days of the conference date and no shows, no refund is possible. Family Business Magazine may cancel the program if attendance does not meet required levels; in case of cancellation or rescheduling, full refunds of registration fees will be made. Travel fares and hotel deposits cannot be reimbursed. An optional, complimentary pre-conference session for first-time Transitions attendees and others who wish to brush up on key family business terms and practices. A special section has been added on private company governance/board best practices. The session will also offer tips on how to get the most out of the conference experience. Many families can cite a single occurrence in their family or business that sparked the realization that, in order to achieve a smooth transition to future generations, they needed to transform their family governance through structure and processes. Panelists will discuss such pivotal moments in their families, the tough conversations that followed, and the results they ultimately achieved. In a family company’s early years, it may seem unnecessary to officially define “the family.” But if questions haven’t already arisen, they will crop up in the future. Should in-laws be permitted to work in the family business? Should only bloodline descendants own stock? Should fiancés or stepchildren be permitted to attend family council meetings? What about unmarried partners? There are no right or wrong answers to questions such as these; each family must decide policies for itself. Panelists will share how their families coped with these dilemmas, and why the results work for them. What does a family council do, and why is this work important? Should the council be an elected body, or open to all? What projects or assignments fall within the council’s purview? Panelists will discuss the nuts and bolts of how their family councils operate. Crossing the Chasm: Managing Risk Through Critical Transitions: Jonathan Crystal, CFO, Crystal & Co. This workshop will teach participants about the underlying reasons for conflict in family business, the differences between disputes and systemic conflicts, and what works and what doesn’t for managing these conflicts. We will work with a case to unpack a real family business conflict and explore pros and cons of potential approaches. Participants will learn the one key ingredient for managing conflict in their family enterprise. NextGen family members can spark transformational positive change in the family or the business — if they’re given the opportunity. Our panel of NextGens will discuss their roles in the business and/or the family, and their relationship with senior-generation members. How does a family build on the founder’s values and create an enduring legacy while at the same time reengineering the business for success in a rapidly changing marketplace? How might succeeding generations honor the company heritage while keeping up with the fast-paced changes of today’s market? Panelists will share their approaches. Transitions West 2018 is sponsored by Family Business Magazine, and is the only conference created for family companies, by family companies. Morrie began working for Stevens Van Lines in 1970 as a staff accountant after working seven summers on the trucks during high school and college. He passed the Michigan CPA exam in 1971 and served in the accounting department until 1974 when he was promoted to controller. In 1977, Morrie was promoted to president. In 2007, he became chairman of the board and CEO. Morrie served as a board member of the Michigan Movers & Warehousemen’s Association 1978-1990, and was president 1984-1985. He was the first recipient of the Michigan Movers & Warehousemen’s Association Mover of the Year Award. Morrie joined the board of directors of the American Moving and Storage Association in 1998, after the merger of the National Moving and Storage Association and the American Movers Conference, and served as treasurer in 1998, vice chairman 1998-2000, and was chairman 2001-2002. Morrie was honored by AMSA and received the Moving Institute’s Distinguished Service Award in 2005 for life time achievement in the industry. Previously, Morrie served on the board of the National Moving and Storage Association, for 15 years, and was its chairman 1992–1994. Morrie is an active hunter conservationist, and is a member of Rocky Mountain Elk Foundation, Ducks Unlimited, Ruffed Grouse Society, National Wild Turkey Federation, Quality Deer Management, Pheasants Forever, Trout Unlimited, and has been a regular member of Boone and Crockett Club since 2004. At Boone and Crockett, he has served as a board member, vice president of administration, executive VP of conservation, executive VP of administration and president 2015–2016. Morrie and his wife, Julie Ann Burnes, received the Saginaw Valley State University Distinguished Service Award in 2005. They have four children and 9 grandchildren. A fifth-generation family member, Allison Parks began serving as Laird Norton Company’s Family President in August 2014 after a previous career in teaching and school administration. Allison is a director on the board of Laird Norton Company and Chairman of the Family Council Committee. She is responsible for overseeing the annual Family Summit and facilitating communication among over 400 Laird Norton family members. Allison also focuses on developing family programs with an emphasis on education and responsible company stewardship. Now seven generations and over 400 members later, the Laird Norton family continues to promote intellectual growth, responsible investing and business experience in order to ensure excellence for generations to come. Since joining A. Duie Pyle in 1985, Peter Latta has held a number of leadership roles, currently serving as Chairman & CEO. Over the past 33 years, he has been part of a leadership team that has guided the company’s growth from a Philadelphia area Less-Than-Truckload Common Carrier with annual revenue of $11 million to the Northeast’s leading asset-based supply chain service provider with 2018 revenues exceeding $400 million. Today, Peter’s focus is on strategic planning, real estate matters, tax and financial planning, perpetuating the company culture, business continuity and succession planning. He also works in conjunction with Pyle’s independent board of directors to ensure that A. Duie Pyle remains a privately owned family business by establishing the foundation for a successful transition to the next generation of ownership and family leadership. Peter currently serves on the board of directors of a family owned $1.7 billion nationwide transportation business. Prior to his position with A. Duie Pyle, Peter practiced law with McNees, Wallace & Nurick in Harrisburg, PA, and worked as a CPA for Greenawalt & Company and Asher & Asher in Philadelphia. He holds a B.S. in Accounting from the University of Delaware, and earned his law degree from the Dickinson School of Law in 1983. Peter and his wife Robin have four children and three grandchildren. Interests outside of work include tending to his vegetable garden & fruit trees, raising beef cattle and pigs, and hunting wild pheasants and ruffed grouse with his German Shorthair Pointers. 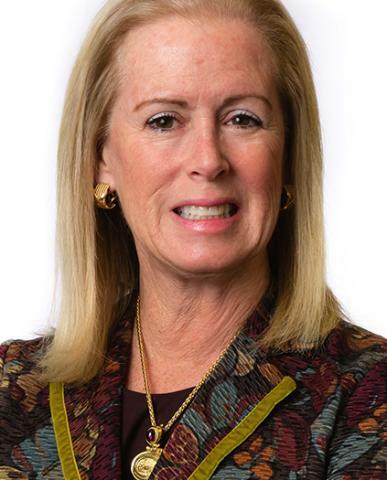 Kathy Munson is a two-time chair of the Schmid Family Council and a third-generation shareholder of Crescent Electric Supply. The company, founded in 1919, is based in East Dubuque, Ill., and is one of the United States’ largest independent distributors of electrical, electronic, safety, data communication and industrial automation equipment and related products. Kathy was involved with the family organizing group that developed the Council in 2004. Along with her cousins, Kathy worked on the original Council charter, which was ratified in 2005. Kathy was the family’s second Council chair in 2010 and served a 3-year term. She has been serving as current Council chair since 2017. 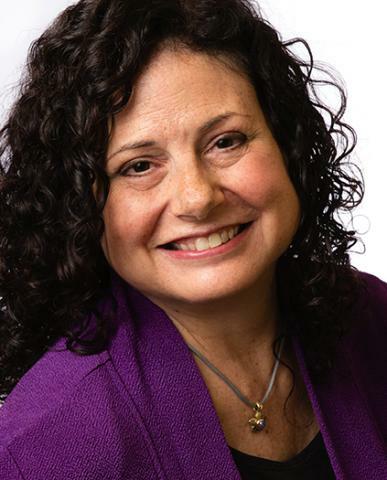 Kathy is the founder and CEO of Media Buying Services Inc., a 32-year-old company which specializes in advertising media offering target audience research, strategic media planning and ad buying. She works with her husband and business partner, Chuck Munson, and is based in Arizona. Katy Wilder Schaaf, Ph.D. is a fifth generation shareholder of E. Ritter and Company. E. Ritter & Company, parent to Ritter Agribusiness and Ritter Communications, is a fifth generation family owned business that was founded in Marked Tree, Arkansas in 1886. Ritter Agribusiness is located in Marked Tree and is a Farm Management provider in Eastern Arkansas proudly known for its values of hard work, dedication to customer service, and efforts to reinvest in the communities that they serve. Ritter Communications began providing phone service in Northeast Arkansas in 1906 and is now a regional provider of a wide range of telecommunications products and services in Arkansas, Tennessee, and Missouri. Ritter Communications’ residential and business services include local and long distance phone service, cable television and high speed Internet, as well as customized business communications systems and services, including Web and e-mail hosting, custom networking, virtual services, hosted applications and remote data back-up services. Katy earned her B.A. from the The University of North Carolina, M.S. from The University of Maryland, and Ph.D. from Virginia Commonwealth University. Currently, she works as a Clinical Psychologist at McGuire Veterans Administration Medical Center. She also enjoys working with the Ritter Family Council, promoting engagement and facilitating education, as the Director of Development and Engagement. Together with the family council, Katy spearheads family events that include an annual family meeting, family summits, and quarterly council meetings. Katy lives in Richmond, VA with her husband Matthew and their two children Lainey and Ward. John Taylor serves as Chairman of the Board of Olmsted-Kirk Paper Company located in Dallas, Texas. He is a fourth generation leader of his family’s wholesale and retail paper company. John joined the Company in 2009 as CEO and Chairman of the Board after discovering fraud, theft and mismanagement within the organization. At the end of 2015, after returning the Company to financial health, John hired an outside CEO and stepped down from overseeing the daily operations of the business. Prior to joining the family enterprise, John was a freelance writer in Los Angeles, California for 18 years. Before moving to Los Angeles, John worked as a banker in New York City, first for Irving Trust Company (now Bank of New York) and then for Manufacturers Hanover Trust Company (now JPMorgan Chase). He specialized in Real Estate Lending and Real Estate Investment Banking. In addition to his role at Olmsted-Kirk, John currently serves as Chairman of the Board of The Senior Source, the largest nonprofit in the Dallas area serving the needs of older adults. John also serves on the Board of the Dallas Arboretum and Botanical Garden. John has an MBA from the University of Texas at Austin and a BA from Tulane University in New Orleans, Louisiana. John lives in Dallas, Texas with his two daughters. Summer Worden is the president of the Port Blakely Family Council. Summer’s education accomplishments include the NSA Cryptologic School, graduate degrees in strategic intelligence & digital forensics, and an M.B.A. from Rice University. Summer currently serves on the Emerging Leaders Committee at the Baker Institute for Public Policy, a think tank led by former Secretary of State James A. Baker. She shares her passion for inspiring youth through advocating various education programs promoting leadership development and entrepreneurship for K-12 graders and the Port Blakely Eddy Family Assembly Youth. Maggie Bender-Johnson is President of Warren G. Bender Company. She is the third generation of the family to lead the ﬁrm, one of the Sacramento region’s largest independently owned insurance brokerages, founded in 1938. Before taking the reins as President, Bender-Johnson served as the company’s Vice President of Operations. A Partner at the ﬁrm, she is part of a succession team of executives who share the ﬁrm's passion and vision and understand the company’s core values — to create value for their clients through an extremely high-level of customer service. Bender-Johnson grew up around the family business, spending weekends at the ofﬁce and going on client visits with her father, Stephen Bender. She ofﬁcially joined the ﬁrm in 2005 after graduating from the University of San Francisco. She earned an MBA from California State University, Sacramento, in 2011, with an emphasis on strategic management and planning. She also has earned the Certiﬁed Insurance Counselor, Management Liability Insurance Specialist, and Certiﬁed Insurance Service Representative designations. Prior to being named Vice President, she served as Director of Operations. She has also held numerous other positions within the organization enabling her to garner hands-on experience in all aspects and areas of the business. Bender-Johnson has also successfully taken leadership training from the University of California, Berkeley, and the Capital Region Family Business Center. Her newest educational focus is on Corporate Governance and Advanced Management Liability. Bender-Johnson is active in several community organizations, including the Leukemia and Lymphoma Society, the Roseville Chamber of Commerce, the Capital Region Family Business Center, Soroptimists of Sacramento, Toastmasters, and the Placer County SPCA. She is an avid hiker and lives in Nevada County with her husband, Fergus – a Sacramento city ﬁreﬁghter – and their four dogs: Fonzie, Chewbacca, Lando and Worf. The eldest daughter of Frieda’s Specialty Produce CEO Karen Caplan, and the granddaughter of founder Dr. Frieda Rapoport Caplan, Alex Jackson Berkley joined the company in 2011 after graduating from George Mason University, making Frieda’s a three-generation family-business success story. Alex started in Frieda’s marketing department before moving into the sales department in 2014 as an account manager. In 2014 at age 24, Alex was the youngest produce professional to be accepted into the United Fresh Leadership Program Class. That same year, Alex earned a certificate of Produce Executive Development from Cornell University’s Food Industry Management Program. In 2017, Alex was named one of the “40 Under 40” by Produce Business Magazine for her success and leadership in the produce industry. Alex served as a member of the Produce Marketing Association’s Women’s Fresh Perspectives Advisory Committee and was co-chair from 2015 to 2017. She also serves on the Board of Trustees of the Westerly School of Long Beach, a California K-8 non-denominational private school. Christie Lloyd Ernst is a second-generation family business co-owner at Lloyd Companies, a regional development, real estate and property management firm her parents, Craig and Pat, founded in 1972. Based in Sioux Falls, S.D., Ernst oversees a Lloyd Companies portfolio of 1.8 million square feet of commercial space and more than 6,000 apartment units in 60 apartment communities in multiple states. She also is responsible for developing the company’s new business ventures and apartment communities, often providing finishing options, marketing and management guidance. Ernst plays an integral role in blending business with family at Lloyd Companies and extends her reach within the family business community by serving for the last decade on the advisory board for the Prairie Family Business Association, an outreach center of the USD Beacom School of Business. She chaired the board from 2014-16, guiding the multi-state organization as it provided education, resources and networking opportunities to hundreds of family businesses. Having grown up at a kitchen table that doubled as a boardroom table – she used to call it a “bored room” – Ernst developed a passion for real estate and how it can positively impact communities, employees and investors. To ensure the continued vitality of her family business, Ernst coordinated Lloyd Companies’ advisors and family for estate planning efforts and established a governance process within the company by implementing systems from the book “Balance Point.” For three years, she worked to establish governance and roles for board members, management and owners, and she continues to assist in executing that system. A proud wife and mom of two children, Ernst enjoys traveling in her spare time and has spent the last decade as a board member of the Feisty Fighters, a nonprofit dedicated to raising funds for cancer-related organizations. Chad Quist is a married-in third-generation family member of Vermeer Corporation. He is currently a member of the Ownership Council and a Director for The Vermeer Charitable Foundation. Chad resides in Des Moines, Iowa. He is a Licensed Physician Assistant practicing Neurology, and President of Heartland Christian Counseling, a professional counseling center serving central Iowa. Chad has over twelve years of clinical experience in the fields of Urgent Care, Occupational Medicine, Psychiatry, and most recently Neurology. He actively works on team integration, communication, and healthy system dynamics. After obtaining his MBA, Chad has incorporated his skills within the fields of healthcare and business by serving numerous organizations and boards. He currently is active within the Vermeer family governance, and provides a unique perspective as a married-in. Chad enjoys family time with his spouse and three children, church, the outdoors, and college football. Ernie Patterson, VP, Director of Family Shareholder Relations, joined Brown-Forman in June 2009, and is responsible for developing and implementing policies and practices that further strengthen the relationship between Brown-Forman and the Brown family shareholders. Ernie received a Bachelor of Science in Graphic Arts and Sciences from Rochester Institute of Technology, and has also earned three Master degrees: Education from Harvard University, Business Administration from the University of Chicago, and Liberal Studies from St. John’s College. A fourth generation family member, Kristin Anthony is the Director of E-Commerce and Digital of Anthony’s Ladies Apparel, a women’s retailing company founded in 1895 in West Palm Beach, FL. Kristin joined the family business in 2014 at the request to see if she could build an online store to elongate the shopping season that defines South Florida. In her first year running the website, she was able to triple the annual sales projections and continues to grow the E-Commerce revenue at over 50% year over year. Kristin earned her B.S. in International Business from the University of Delaware and after college moved to South Africa for a year to work for an HIV/AIDS non-profit. In the years prior to joining Anthony’s, Kristin worked in the youth travel industry leading and managing educational programs for middle school, high school and college students around the world. When Kristin is not working, you can find her renovating houses in South Florida with her husband or traveling. Kristin serves as the President of the Board for the Broadreach Foundation which provides scholarships to students to study abroad and continues to run a travel blog, which she started in 2009. Nicole McAllister Vermeer is a third-generation member of the Vermeer family, member of the Ownership Council Governance Committee, and chair of the Gary Vermeer Family Council. Currently serving her fourth term as chair, Nicole assists the family in successfully identifying opportunities, implementing new initiatives and navigating complex transitions. Over the past nine years she has worked with Vermeer's Family Office, the Ownership Council, and branches of the family to help develop the Family Council and Ownership Council strategic plans, shareholder director nomination process, mentorship program, married-in orientation, revised family charter and code of conduct, shareholder agreement, family employment policy, education and travel policies, and other efforts. She now is focusing on customized shareholder engagement strategies and reinvention of the family council platform to advance the Ownership Council’s and Vermeer Corporation’s goals. Vermeer Corporation is a global industrial manufacturing corporation with approximately $1 billion in annual sales worldwide. Now in its third generation of family leadership operating in 60 countries with over 3,000 employees, Vermeer Corporation is a leader in the agricultural, environmental, utility installation, pipeline, specialty excavation and mining equipment industries. Outside of the family, Nicole leads the ongoing development, external affairs, and corporate strategy initiatives of a university-wide policy center within UCLA where she is directing efforts for a $4.2B Centennial Campaign. She was previously the Vice President of Development and External Affairs for the Pacific Council on International Policy, the international policy think tank affiliated with the University of Southern California chaired by late U.S. Secretary of State Warren Christopher. Prior, she began her career as an affordable housing developer and policy advocate. Nicole serves on the Board of Directors and Finance Committee of Affordable Living for the Aging and is a Co-Founder of Social Capital Philanthropists, a crowdfunded grant-making collective in Los Angeles. Nicole earned an MBA with emphases in finance and strategy from the University of Southern California and a Master's Degree in Urban Planning with concentrations in community development and environmental policy from the University of CA, Los Angeles after graduating from UCSD. She and her husband live in Los Angeles with their four children. Chad Hardaway is a shareholder and family council committee chair and liaison with Canal Insurance Company. He co-chairs the family’s philanthropy committee, which is responsible for seeking out and funding philanthropic investment opportunities for the 4th generation. Aside from his work with Canal, Chad Hardaway is Associate Director of the University of South Carolina (USC) Office of Economic Engagement and the Director of the Technology Commercialization Office. As Associate Director of the USC Office of Economic Engagement, Chad works to align USC assets with outside corporate and government partners. 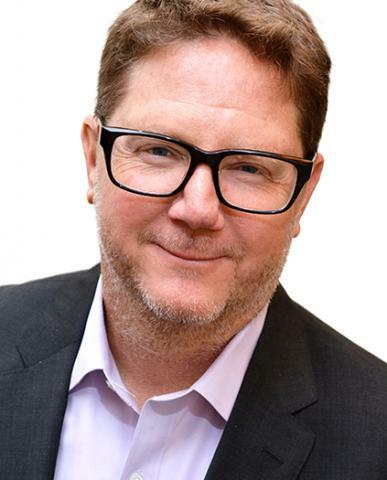 As Director of the USC Office of Technology Commercialization, Chad oversees a portfolio of over 500 university technologies and is responsible for moving those technologies out of the laboratory and into the marketplace. Chad also works with University Technology Startups and South Carolina Technology Companies to form partnerships, find capital, explore research opportunities, develop new markets, and ultimately move products into the hands of consumers. Prior to joining the University of South Carolina in 2005, Chad was a Process Engineer with Eastman Chemical Company. These past positions and experiences provide a broad understanding of the early stage technology development cycle and how it can connect with existing corporate market and technology development. Chad has a BS in Chemical Engineering, MBA, and a Juris Doctor all from the University of South Carolina. MacKenzie Corporation is a family run business with its founder’s twin daughters now at the helm of the organization – jointly leading the company through a strategic, operational and cultural shift. While the company mission remains the same, advanced technology and refined processes have been brought forward under the leadership of this next generation. MacKenzie staff includes analysts, database & application developers, marketers, project managers, production specialists, critical-thinkers, problem-solvers and all-around great people who are passionate about bringing client brands to new heights. Jenny Dinnen is a born leader, responsible for directing the company’s overall sales and marketing efforts. In addition, she guides the technology team through new product innovations and develops forward-thinking market research strategies. Katie Rucker offers a strong mix of operational coordination, leadership and analytical skills. Improving internal processes and strengthening company culture are two pillars of her success. With over 10 years in executive management positions, Katie is a proven leader with a passion for recognizing and cultivating the potential in others. Taylor Merritt is Chairman and CEO of Merritt Aluminum Products Company, a Top 50 Family Owned Business in Colorado and the leading manufacturer of accessory products for the heavy-duty truck industry in North America. He is an active investor in commercial real estate, private equity and other alternatives. He joined the Federal Reserve Bank of Kansas City’s Economic Advisory Council in 2015. Merritt is a native of Portland, Ore., but has lived in the Denver area for more than 25 years. He graduated from the University of Denver in 2006 with a double major in finance and management. Following graduation, he joined Merritt Equipment Co. and aided the company in implementing a new ERP system. Merritt was named CFO of the company in 2008. Following years of planning, Merritt Equipment Co. executed a split-up in mid-2016 and Merritt was subsequently named CEO of Merritt Aluminum Products Company, which is based in Fort Lupton, Colo. He is responsible for setting strategic direction, overseeing the company’s operations and performance, as well as preserving the company’s values and culture. Merritt is a graduate of the Owner President Management Program from Harvard Business School. He currently serves on the Board of the Colorado Council for Economic Education and is a member of a Denver-based leadership organization called Quarterly Forum. First exposed to business and investing at a very early age, he’s passionate about investing and building businesses. Over the years, he has had the opportunity to gain experience in several different industries and levels within organizations, specifically manufacturing, transportation, agriculture, commercial real estate, banking, distilled spirits and technology. He has been involved in numerous commercial real estate transactions, primarily through control & non-control investments, leasing and financing. Lamar Hunt Jr. is the founder of Loretto Holdings, which owns a group of organizations built on the Christian ideals of using wealth and other resources to foster family and community by helping those who are less fortunate. In 2010, Lamar, Jr. founded Loretto Properties, LLC, a real estate investment company specializing in the operation and management of residential properties located in metropolitan Kansas City. He expanded his real estate business activities by creating Loretto Commercial Properties to renovate a historic Kansas City, Kansas commercial office building, and Loretto Commercial Development to pursue additional real estate opportunities in the greater Kansas City area. Lamar Jr. also formed LHJr Funding to finance real estate property and business ventures in the Kansas City and Dallas, Texas markets. In addition, Lamar Jr. serves on the board of directors of Hunt Midwest Enterprises, a real estate development company based in Kansas City, Missouri. Lamar Jr. founded Loretto Sports Ventures to facilitate the growth of sports teams and other assets in the Kansas City area. He is the owner and President of the Kansas City Mavericks, a member team of the professional East Coast Hockey League, which plays its home games in the Independence, Missouri Events Center. Under Lamar Jr.’s leadership the Mavericks have established affiliations with the New York Islanders and Calgary Flames of the National Hockey League. Lamar Jr. also owns and serves as President of the Topeka Pilots, a member team of the amateur North American Hockey League that plays home games in the Topeka Expocentre in Topeka, Kansas. Through Loretto Sports Ventures, Lamar Jr. continues to promote the sport of ice hockey in Kansas City by expanding area youth hockey programs and adding additional ice rink arenas needed to grow the sport in the region. Lamar Jr. founded Loretto Foundation as a private charitable organization to fund philanthropic giving throughout the United States. In 2018, Lamar Jr. was named a recipient of the prestigious St. Elizabeth Ann Seton Award given annually by the National Catholic Education Association to those devoted to Catholic education. He has served on the Case Review Task Force appointed by Archbishop Joseph Naumann, which formulated recommendations for the future growth of the Catholic Archdiocese of Kansas City, Kansas. Lamar Jr. was instrumental in the building of the new St. Michael the Archangel High School in Lee’s Summit, Missouri, and in the major renovation of the St. Thomas Aquinas High School facility in Overland Park, Kansas. He is a member of the board of the Hunt Family Foundation and also serves on the Advisory Board of the Catholic Radio Network, a religious broadcasting group operating radio stations in the greater Kansas City, Wichita, and Denver markets. Lamar Jr. graduated from the University of Cincinnati College‐Conservatory of Music with a Bachelor of Music Degree and completed a Master of the Arts degree in counseling at Dallas Baptist University. He was a flutist in the Kansas City Symphony for nine seasons. He is a Licensed Professional Counselor in both Kansas and Missouri, where he works with neglected and abused teenagers, homeless men with addiction problems, and families in crisis. Lamar Jr. lives in Leawood, Kansas with his wife, Rita. They are the proud parents of nine children and have eight grandchildren. Lamar Jr. is a member of the founding family of the Kansas City Chiefs, a member club of the National Football League, and serves on the team’s advisory board. As founding investors, the Hunt family remains an owner of the Chicago Bulls of the National Basketball Association and the United Center in Chicago, Illinois. The Hunt family also founded and originally owned the Columbus Crew and Kansas City Wizards (now Sporting KC) Major League Soccer team franchises. Hunt family members continue to own and operate FC Dallas, an inaugural MLS member franchise, and Toyota Stadium which houses the U.S. National Soccer Hall of Fame. There are certain elements that attract visitors to Southern California: beautiful beaches, incredible cuisine and an attitude that acts as a gentle reminder to slow down and enjoy the present. 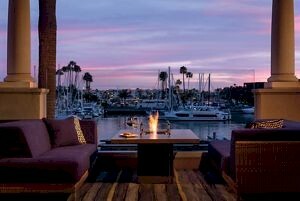 Guests of The Ritz-Carlton, Marina del Rey are invited to experience SoCal living with the hotel’s collection of amenities, including LA’s only waterfront saltwater pool, farm-to-table dining, a luxury spa and accommodations overlooking the marina or city. Special group rates have been secured for Transitions West 2018 attendees: $329 plus taxes. This rate includes complimentary internet in guest rooms. Rooms are available on a first-come, first-serve basis. The group rate expires on October 16, 2018. For attendees that prefer to call in to make their reservation via phone, reservation assistance is available at 800-474-6501. Please reference the group name "Transitions West Conference" when making reservations. Peter Begalla is Family Business Magazine's Transitions Conference Chair. Peter taught Family Business courses at Stetson University for over 13 years and currently maintains a consulting practice focused on succession and family enterprise governance. Peter has published, articles and other media and currently serves as an advisory board member to a family held company.